George Brauchler: Make Electric Cars More Expensive! Right now, buyers of electrified vehicles might be eligible for up to $7,500 in federal tax credits. But that could change — and fast — if a new tax bill becomes law. A new bill proposed by House Republicans could eliminate the federal electric tax credit without any sort of drawdown period, Bloomberg reports. While the credits won’t disappear tomorrow, they might be eliminated after the 2017 tax year if this bill becomes law. If killing the electric vehicle tax credit sounds like a good idea to you, you most likely work for the fossil fuel industry. For just about everyone else, tax credits to encourage the purchase of zero-emission electric vehicles are a no-brainer. Here in Colorado, we’ve gone even further to help consumers take advantage of these credits at the time of sale rather than having to wait until their next tax filing–which has proven very popular with both car dealers and car buyers. We assume that’s what Brauchler is complaining about. Shame on you, electric car buyers! This fumbled talking point is obviously meant to appeal to the oil and gas industry as Brauchler’s campaign continues to struggle. Unfortunately for Brauchler, Walker Stapleton has already locked down the “I’m running to serve the oil and gas industry” slot in this primary. If Brauchler wants to demonstrate he can be a better shill for the industry, he really needs to work on his delivery. “Vote Brauchler to pay more!” It’s not a winning slogan, folks. Governor Broccoli addresses the legislature and asks for a hefty tax on EV's. house and Senate minority leaders Patrick Neville and Tim Neville scratch their heads. Will Democrats vote to put a tax increase on EV's in the ballot per TABOR? Hopefully Tim Neville will be out of a job come January 2019. His district is a swing district. Tammy Story has a lot of heart but doesn't inspire much confidence. Unless it is a big Dem wave, she is going to be left on shore. Neville is WAAAAAYYYY to the right of SD-16. Also, we have roughly 5 seats to defend and only 2 offense opportunities for the state Senate. If we want the majority, we need compete hard in both of those seats as badly as we need to defend our seats. 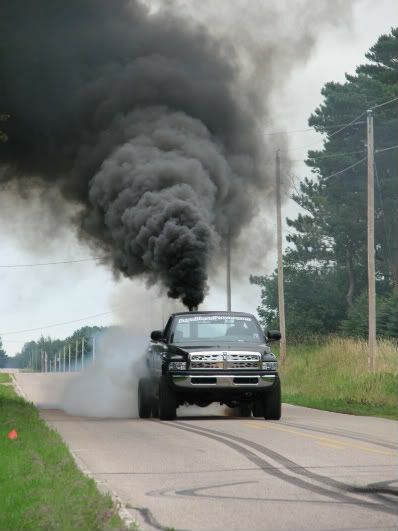 Would someone whisper in Broccoli's ear that in Colorado the electricity that powers these cars still comes predominantly from coal and natural gas? That is way too complicated a chain of causation for a prosecutor like Broccoli to grasp. BTW Michael, everyone (at least in the GOP) knows that electricity doesn't come from coal and gas, it comes from the electric outlets in our homes and offices. If you check with Moderatus, I’ll bet you learn that, more precisely, electricity comes from those two little slits in that plastic thing hanging on the wall . . .
You mean, where he used to shove paperclips? Used to? I thought he still did that. Meanwhile, "Who moved my cheese?" This is the thing that really throws me for a loop. This attitude that "I can only be a coal miner because my daddy was a coal miner (until he died in that mine collapse in 1980), and his brother was a coal miner (until black lung took him in 1990), and my grand daddy was a coal miner (until he died from black lung in 1964), and his daddy was a coal miner…." WTF, maybe my family was unique but each generation strove to give their children a better future. Broccoli: Please Andarko. Forget about Walker. Give me some of that sweet sweet cash and I'll give you what you want. The Republican EV tax-credit phobia would disappear overnight if Tesla would just introduce a new $40,000,000 luxury model. It’s the American way: . . .
1. Ultra-wealthy people would be buying them faster than you can say “private yacht” or “lear jet” (mostly because only ultra-wealthy people could afford them). 2. Ultra-wealthy people would demand tax credits and lower taxes (that is their birthright as ultra-wealthy people). 3. The Republican Party only exists to serve the desires of the ultra-wealthy. Republican legislators would be falling all over themselves to hand out tax credits and cuts (that mostly benefit the ultra-wealthy). This is the GOP's idea of an efficient vehicle worth giving taxpayer subsidy dollars.